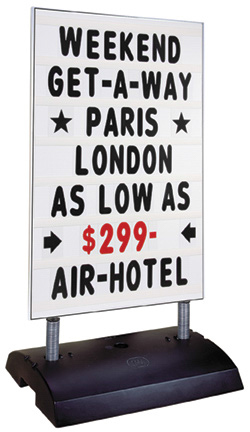 *Versatile swinging sign that can withstand winds up 40 m.p.h. *multiple lines of tracks on 24"w x 36"h panel. *Includes 314 piece of 4”h letter & number set. 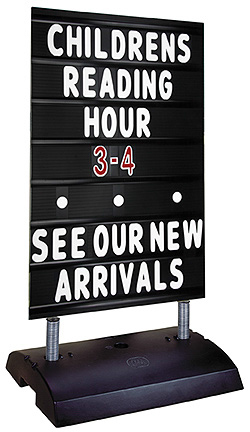 Reader board signs are great inexpensive way to advertising constantly changing messages. All our reader board signs come with full sets of letters & numbers so that you can easily stay On top of your most current promotions with an inexpensive solution.